When maritime incidents occur the responses include mainly regulation and identification of training needs. However, the human factor should also be addressed in a continuous effort to decrease human error in the maritime sector. 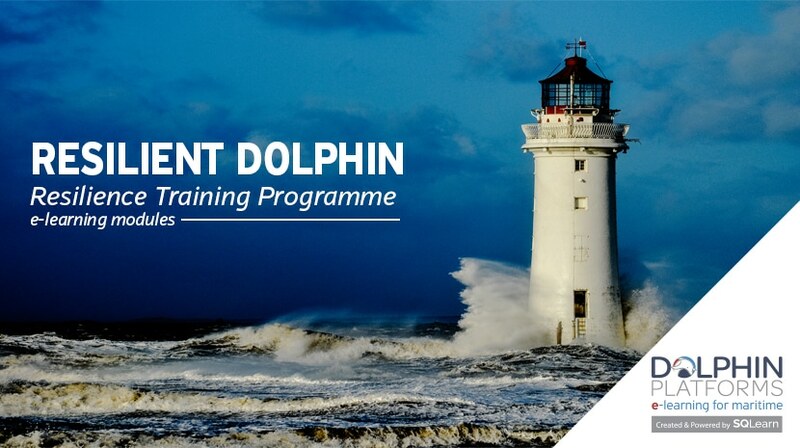 SQLearn has a library of e-learning modules available under the Resilience Training Programme, entitled “Resilient Dolphin”, as part of its Dolphin Platforms services. The aim is the improvement of crew’s (including all ranks) capacity to successfully deal with stressful personal or professional challenges or events and take effective decisions. Resilience training for maritime is a concept that becomes more and more common and can prove to be of high importance to seafarers’ safety. When you have resilience, you harness inner strength that helps you rebound from a setback or challenge, such as a job loss, an illness, a disaster or the death of a loved one. SQLearn develops e-learning modules for Resilience training including topics like Change is a part of living, Keep things in perspective, Take decisive action, Take care of your self, Dealing with crisis, Making connections, Maintain a hopeful outlook, Gratitude. Each module can be customized according to each company’s training approach and philosophy. The courses incorporate reflective learning methodologies and are based on updated material according to the latest industrial and enterprise standards.